Britain on Trial: Young Voices Speak Out! Free but book via platformshake@gmail.com. Anyone wanting to listen to young people and discuss with us how to take a stand and foster creative resistance to institutional racism – you should come to this. The re-trial for justice for Stephen Lawrence is beginning in November. The country is trying to pretend the ‘riots’ never happened. 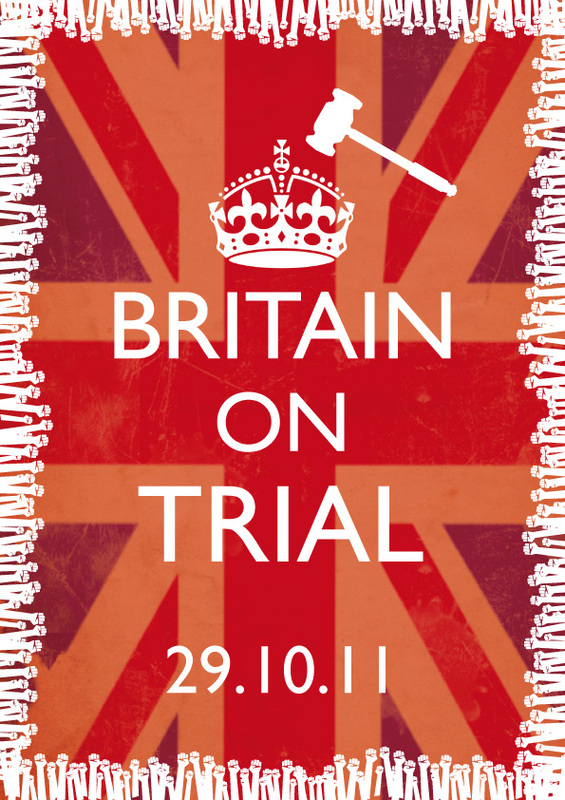 In Britain on Trial, we ask “where are we now” through a day of workshops and an evening performance to expose Britain’s injustices. Hosted by an incredible coalition of Leeds Young Authors, London’s “Shake! Young Voices in Arts, Media, Race & Power” and Leeds University academics from the MA Activism and Social Change, with collaborators from Leeds Bi-Centenary Transformation Project, and Leeds Black Film Club. Chaired by outstanding activist and speaker Esther Stanford-Xosei of Pan-Afrikan Reparations Coalition of Europe.